Church groups across Norfolk and further afield are being offered the opportunity to hear the inspirational story of Peruvian prison minister Miriam Breña Torres who will be visiting England over the summer, reports Network Norwich and Norfolk. Norwich couple Liz and Andy Lake will be hosting Miriam, who has been a friend ever since Liz responded to an advert asking for penfriends for recently released political prisoners in Lima, Peru. Back in 2001 neither of them imagined what that initial introduction would lead to. Miriam was held for three years in Santa Monica prison, and now she returns every week to encourage the Christians there and offer practical and emotional support. First Liz came on board to help out, and soon after Christians in Norwich were joining in. Years later Hope and Song to Freedom was established as a project which carries on this important work. Miriam will be sharing her testimony as part of a Peruvian cultural evening which will be held at St Thomas' Church Hall on Earlham Road, Norwich, at 7.30pm on Saturday July 4. Everyone is welcome – entry is free, but donations to cover food costs on the night are greatly appreciated. Peruvian crafts made by the ladies in prison will also be on sale. To help with catering, please email Liz at info@hopesongfreedom.org.uk if you intend going. 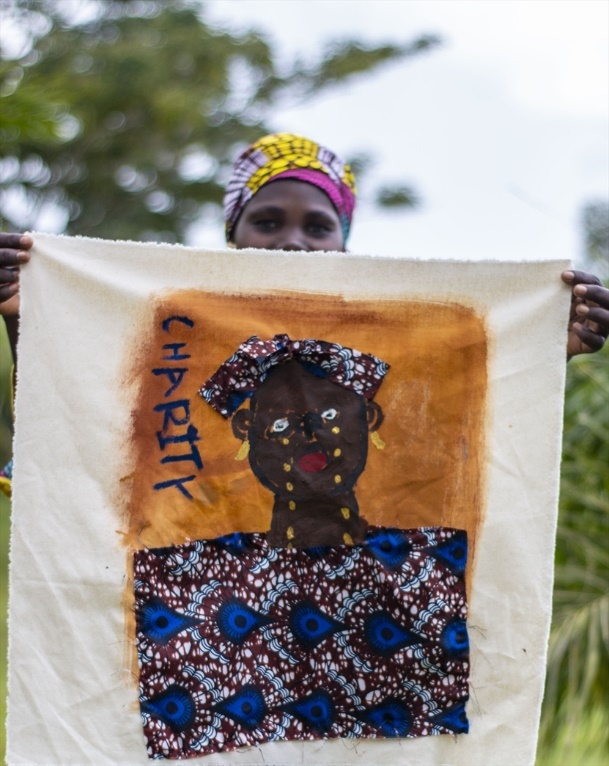 Liz said: “Myself and Andy would welcome the opportunity to talk about the work of Hope and Song to Freedom in any church group, whether ladies meetings or house groups etc. The next few months will be a great chance to arrange something as Miriam will be here to tell her own story, so please do get in touch. 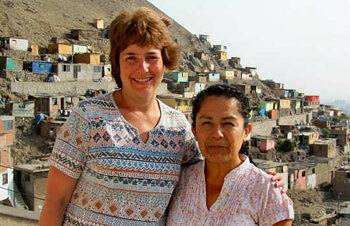 PHOTO ABOVE: Liz Lake, left, with one of the ladies HSF supports, on her balcony in a shanty town outside Lima, Peru.